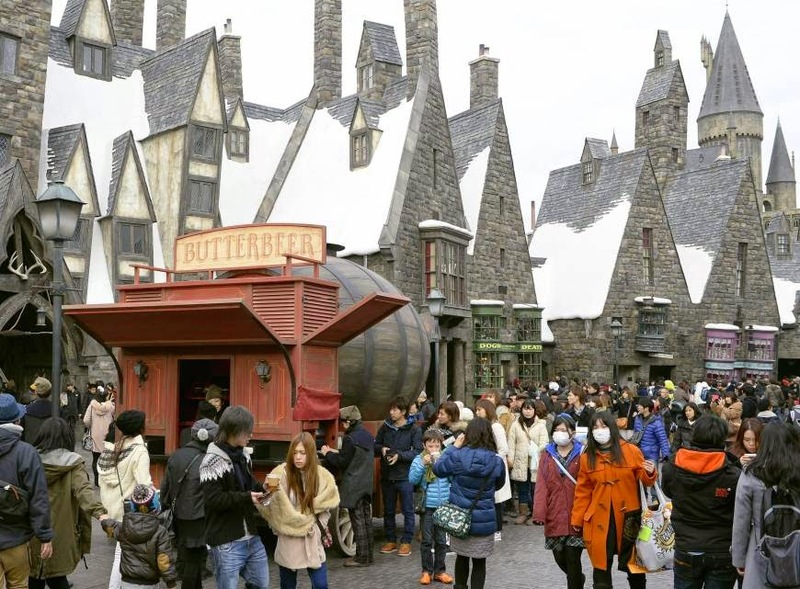 OSAKA – West Japan Railway Co. is launching a bullet train Saturday decorated with images of the Wizarding World of Harry Potter area that opened last July at Universal Studios Japan in the city of Osaka. The Harry Potter train will run on JR West’s Sanyo Shinkansen Line and Kyushu Railway Co.’s Kyushu Shinkansen Line. It will run as the Sakura No. 580 train Saturday mornings from Kagoshima-Chuo Station on the Kyushu Shinkansen Line to Shin-Osaka Station on the Sanyo Shinkansen Line, or as the Hikari No. 580 bound for Shin-Osaka from Hakata Station on the Kyushu Shinkansen Line, also on Saturday mornings. The Harry Potter decorations on the train will include Hogwarts Castle and Harry’s pet owl, Hedwig. addition, JR West will operate, also on Saturdays, shuttle trains bearing Harry Potter images between Shin-Osaka and Universal City, the nearest station to the theme park run by USJ Co.